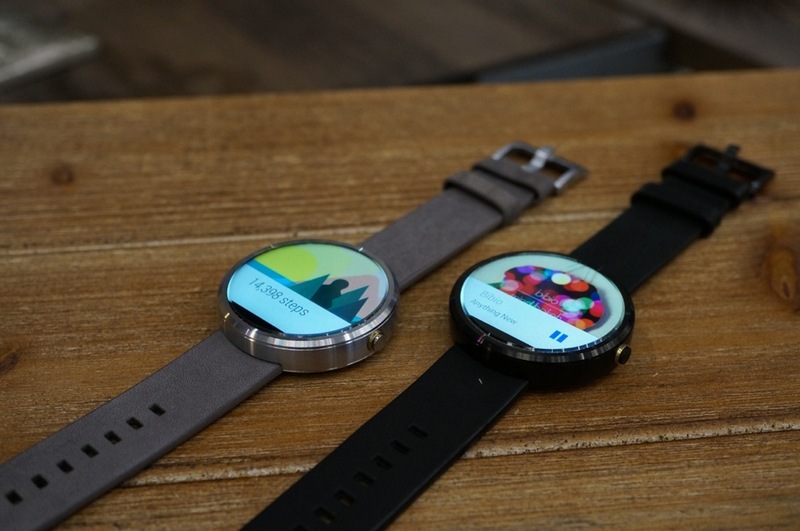 The Moto 360 is sort of available right now through Motorola’s site, Best Buy and Google Play. Buying one may be tough, though, as the inventory seems to be pretty limited for this first round (or none of these retailers have their sh*t together yet). As you decide whether or not you want to buy one, we want to clear up some confusion that readers have pinged us with. We are talking colors of each watch. “Which one is black and which one is silver?” you keep asking. As you can see in the image above of both, the black version comes with a black leather strap. It’s basically the black/black model. If you want the light silver look, you need to get the version with the grey leather strap. This is the silver/grey model. Edit: As a reminder, if you want the silver watch with a black band, you will have the opportunity to buy additional leather bands this “Fall” for $29.99.